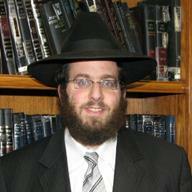 Rabbi Avrohom Morgenstern grew up in Cleveland Ohio. He attended the following Yeshivos; Yeshiva of Telshe Alumni in Riverdale, NY, Yeshivah Gedolah Zichron Moshe in South Fallsburg, NY, and finally Brisk in Jerusalem. He is currently a member of Kollel Los Angeles and gives many Shiurim to members of the greater Los Angeles community. Rabbi Morgenstern wrote a Sefer called Emunas Eitecha on Sugyos all over Shas which was based on Shiurim he had given in the Los Angeles Kollel.